P.A.Moses is the pseudonym for Bainbridge Island author and local Rabbi Paul Moses Strasko. 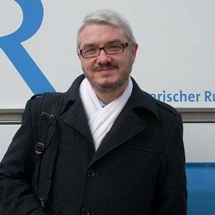 Prior to moving to the island, Strasko served as rabbi for the Jewish communities of Duisburg, Mülheim, and Oberhausen in Germany. 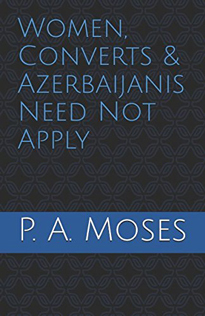 Drawing on his personal experiences, his novel Women, Converts, and Azerbaijanis Need Not Apply (2017) is set in a fictionalized synagogue in modern day Germany. The narrative weaves together with poignant hilarity the xenophobia, Russian-mafia influences, death threats in community meetings, and fist fights in services that ridiculously but truthfully make up some of the every-day reality of Jewish communities in Germany today. Through a humor-filled first person narrative, we are appalled, confused, and enchanted with these real people facing the challenges of reengaging in Judaism after three generations of Stalinism. Strasko is also an active musician playing clarinet and piano, has two hairless sphinx cats, and is currently a doctoral candidate at the University of Potsdam, his Ph.D. thesis entitled: "The Evolution and Transformation of a Law: Speaking with the Dead in Torah through the 20th Century."